Tcorr Inspection staff offer a diverse skills base in corrosion, protective coating, welding, pressure vessel, metal loss, UT and NDT inspections across the broad spectrum of the Defence industry from naval ships and submarines, military aircraft and helicopters, assault vehicles and coastwatch and customs surveillance assets. Our inspectors at Tcorr Inspection are all experienced in dealing with corrosion and protective coatings on structures and facilities in the production of oil, gas and other resources within the marine environment. From offshore platforms to midstream pipelines, corrosion can occur under numerous complex conditions throughout oil and gas production processing systems. Tcorr Inspection’s coating, welding and pressure vessel inspectors can assess and document the integrity of assets on your behalf. We can monitor your staff / contractors’ progress to ensure the coatings are applied properly ensuring you can achieve maximum life span of the coating and in turn reduce maintenance costing blowout on unnecessary hangar downtime. Having a flexible and diverse team of inspectors, Tcorr Inspection have coating / welding inspection experience in most industrial sectors including steel fabrication, concrete structures, bridge infrastructure, construction and civil engineering. Just to prove you are a human, please solve the equation: 23 + 4 = ? Tcorr Inspection are corrosion engineers and protective coating (NACE) Inspection, Cathodic Protection, QA/QC inspectors offering third party inspections in accordance with the Australian and International Standards. 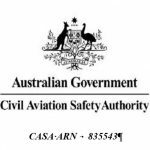 Australasian Corrosion Association – Corporate Member #18297. Indigenous Opportunities Policy – Policy Plan Identification Number 20130704PL00001. AS/NZS ISO 9001:2008 Quality Management System. AS/NZS 4801 OH&S Management System. AS/NZS ISO 14001:2004 Environmental Management System. All staff are randomly tested.